Dr Sarah Langridge is the Research Manager at the Sheffield Institute for Translational Neuroscience (SITraN). Here she blogs about her job role and how she works with the MND researchers based there. Welcome to my first ever blog. You might be wondering what a Research Manager actually does from day to day… to be truthful a little bit of everything! I have worked for Professor Dame Pamela Shaw in the Sheffield Institute for Translational Neuroscience (SITraN) now for about 2 and half years and it’s a really varied job working with great people who are trying to find a cure for MND. So what have I been up to recently? Well my legs have just about recovered from running every one of the 13.1 miles of the Sheffield (Cancelled) Half Marathon as part of the Streaking Meerkats team led by one of our researchers Dr Emily Goodall raising funds for the MND Association and SITraN (http://www.virginmoneygiving.com/team/StreakingMeerkats). One of my main roles is helping our scientists and researchers apply for grants from funding organisations such as the MND Association in order to fund their research into MND. I help researchers with putting together the costs for conducting the experiments and employing staff on grants and by making sure all the correct information about the application is entered onto the online application system. I then smooth the progress of the grant through all the central electronic sign off processes. We have just finished submitting a grant to the Medical Research Council (MRC) last week! On Friday Dr Janine Kirby, Senior Lecturer at SITraN and I joined the online webinar about a new funding initiative by the Joint Programme in Neurodegeneration Disease Research (JPND). The internet is being used more and more to quickly communicate to researchers’ new initiatives or techniques – saves everyone catching the train to attend a meeting or a workshop (also you can eat your sandwich at the same time and no-one can see you munching away)! I work very closely with our Communications Officer Monika Feigenbutz and this week we have been putting the final touches to the SITraN Newsletter (available to download from our website http://sitran.dept.shef.ac.uk/). The Newsletter is now at the printers ready to be published! Pam Aston (Conference and Events Manager for the MND Association) is coming up to meet me on the 15 May to talk about an event that will be held at SITraN later this year. 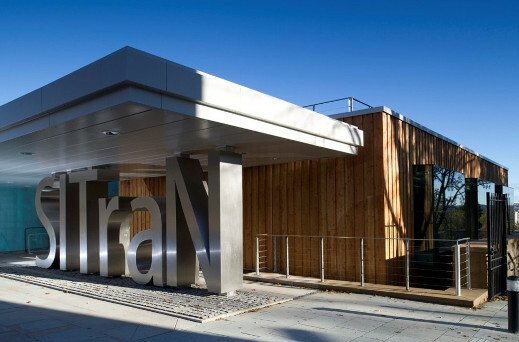 I am now just in the middle of planning our patient and public SITraN Open Day on the afternoon of Friday 11 July 2014 (e-mail: neuroscience@sheffield.ac.uk). This is a great opportunity for us to invite patients, their family and carers as well as members of the public to come and see the research we do for themselves and come and have a real conversation with our scientists – oh and it does involve afternoon tea and cake! What’s blue green algae got to do with it?